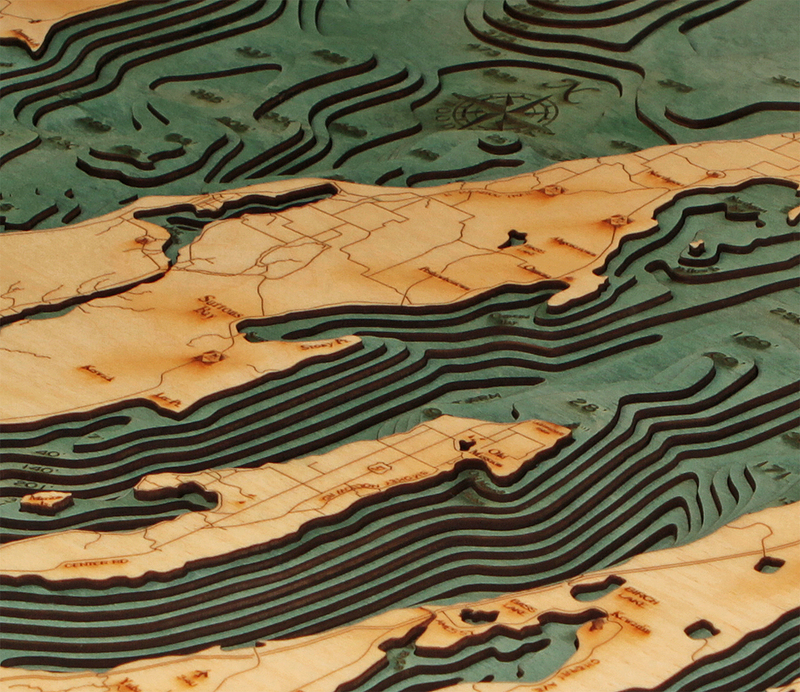 3-D Wood Maps, bellamaps.com, is a family owned and operated business dedicated to sharing these beautiful bathymetric nautical charts with our friends in the Pacific Northwest and beyond. The depths of the water are laser carved in Baltic Birch wood. The layers are then colored and assembled by hand to create these stunning pieces of art, which will undoubtedly be a conversation piece in your home, office, beach house or lake house!